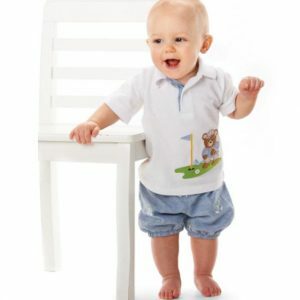 Designer Baby Golf Gifts carries the cutest baby golfing outfits for those baby boys who are “new to the tour.” We have elaborate embellishments on our baby outfits which are geared to inspire golf enthusiasts young and old. 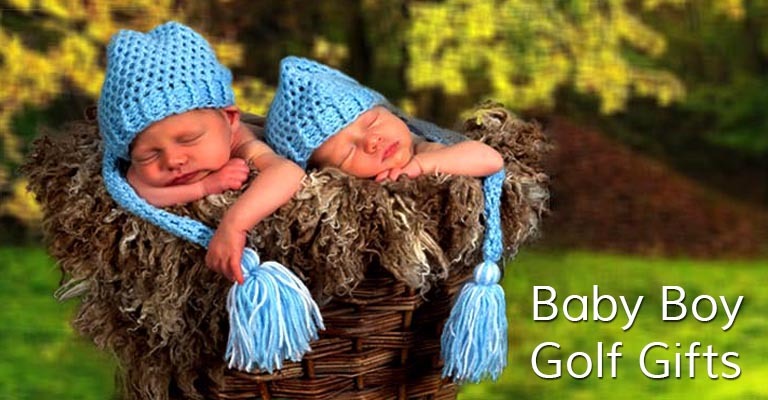 All of the infant outfits are made with comfort and convenience in mind. We have provided snaps for quick and easy changes at the clubhouse turn. Your baby won’t miss a moment of action. All pants have wide elastic bands so as not to bind and feel uncomfortable at the waistline. Comfort for the wearer and ease of maintenance are a strong focus for our Baby Golf line of clothing. 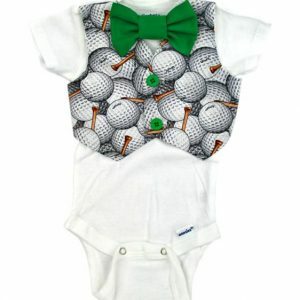 We carry a “Daddy’s Caddy” outfit that is always a surefire gift for the new little golfer. 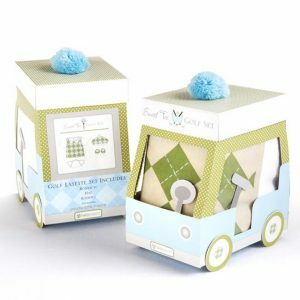 It is one of our most popular shower gifts! All of our outfits are made with the new golfer and their loving caretakers in mind. From head to toe these outfits have a risk free 30 day satisfaction guarantee. For whatever reason, you can return any outfit with no questions asked. We will refund the full purchase price less shipping so you can’t go wrong. 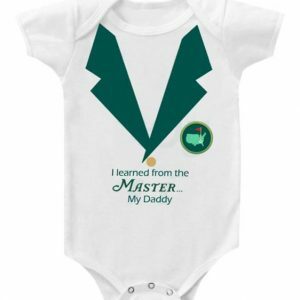 A search to find the perfect gift for the newest to the tour can be overwhelming and exhausting. With our unique and varied selection choices, we can turn this job into a piece of cake! With a click of a mouse, you can eliminate the hassle of shopping. How simple can it be? Where else can you choose a great gift, have it wrapped boutique style, carded, mailed and never get out of your P.J.’s? All you have to do is sit back and wait for the accolades, oohhs and ahhs from happy parents for your cleverness at finding the perfect gift.